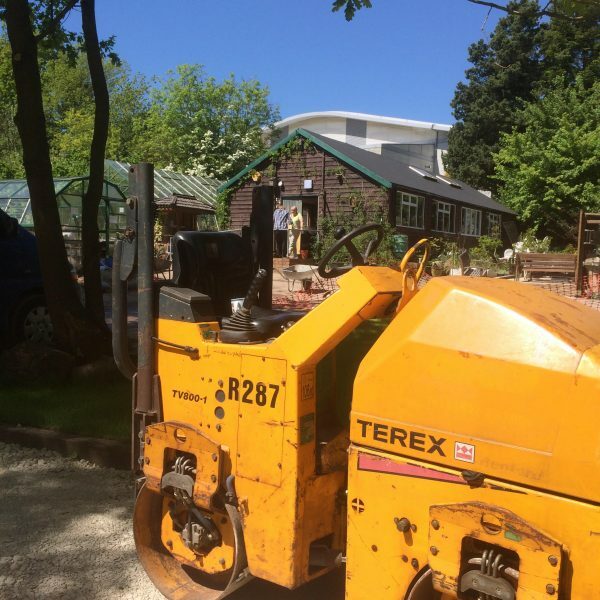 Martineau Gardens (including the children’s play area) will be closed on Wed 16 and Thursday 17 May for resurfacing works. For plant sales and compost, call back on Friday! Find out more about the progress on our new Courtyard Garden here. 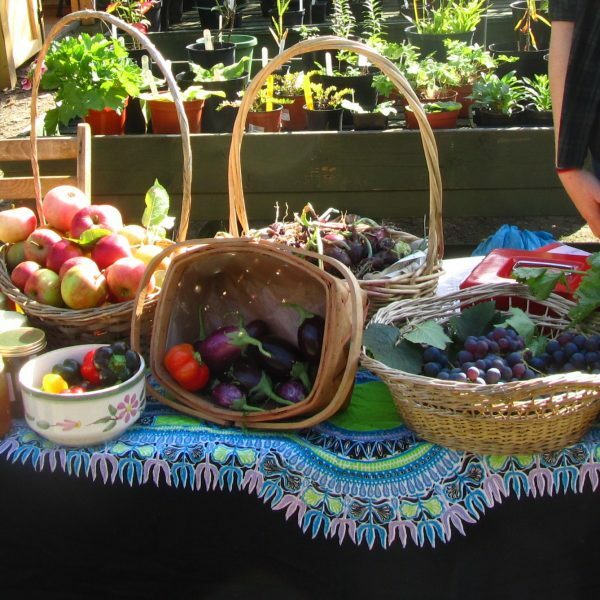 Fork to Fork – a blog about cooking and gardening inspired by what’s in season at Martineau Gardens. Written and photographed by one of our volunteers, alias Sam Spade the Digging Detective. 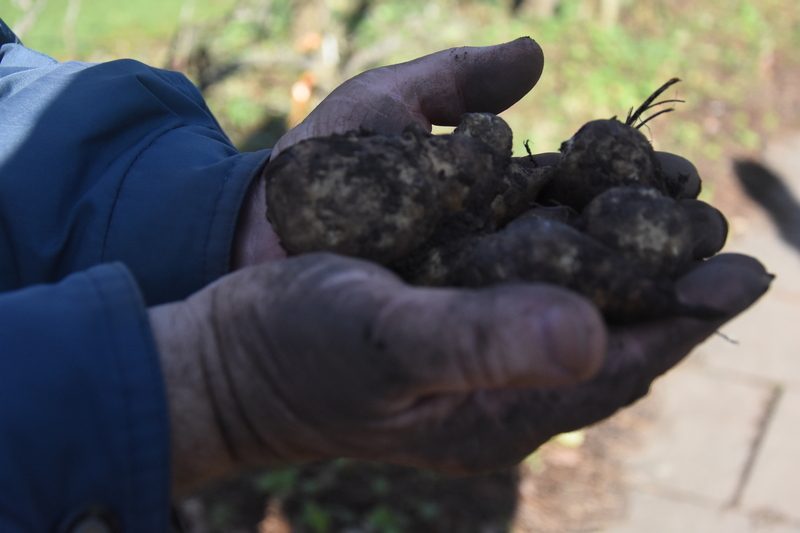 This week we have been digging up and cooking Jerusalem artichokes. 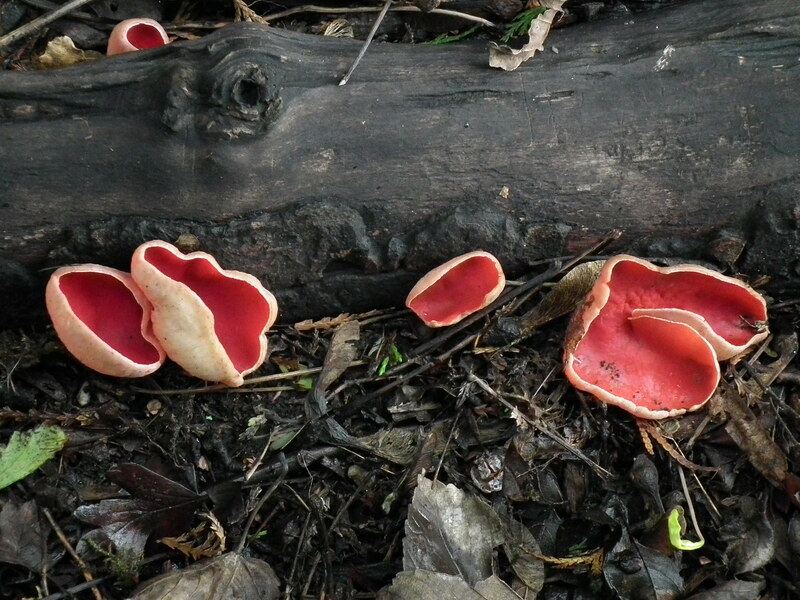 No need to peel, just give them a good scrub and away you go. Pop butter and oil into heavy bottomed pot and place over a medium heat. When the butter foams add onion, sizzle slowly until golden. Add Jerusalem artichokes and garlic. Cover. Turn heat down and sweat until really soft. Stir often. Top tip when I made the soup I sweated the artichokes until they were very broken down, I wonder if that added to the intense flavour. Pour in the liquid…booze or juice add the nuts and let it sizzle. Add the thyme and stock. Blitz. Pass through a sieve for that smooth consistency. Check the seasoning and serve with the cream. I came across a recipe whilst researching Artichokes, I haven’t tried it out on the team yet. It is taken from a war time book by Marguerite Patten: We’ll Eat Again, Economical Recipes. Serves four. 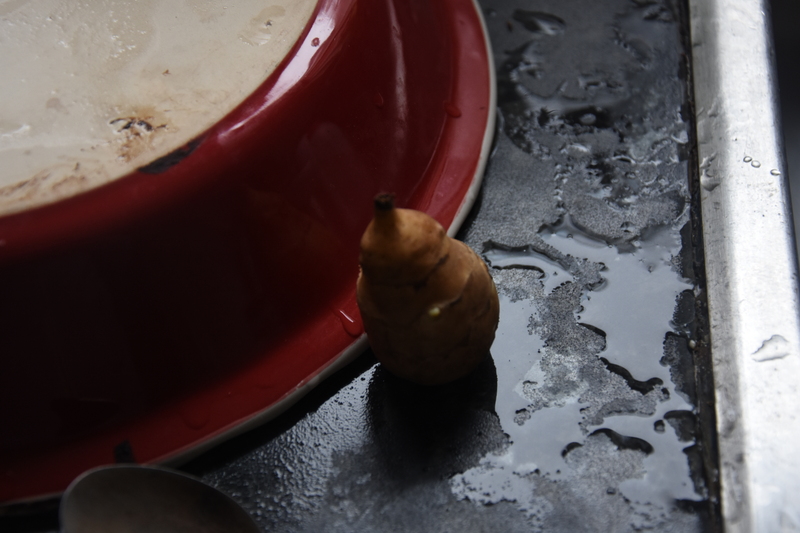 Scrub and boil artichokes in salted water until tender. Peel and cut in thick slices. Make the batter and add the cheese. Oil in the oven until sizzling. Add the batter then the Artichokes and cook for approx. 25 mins. 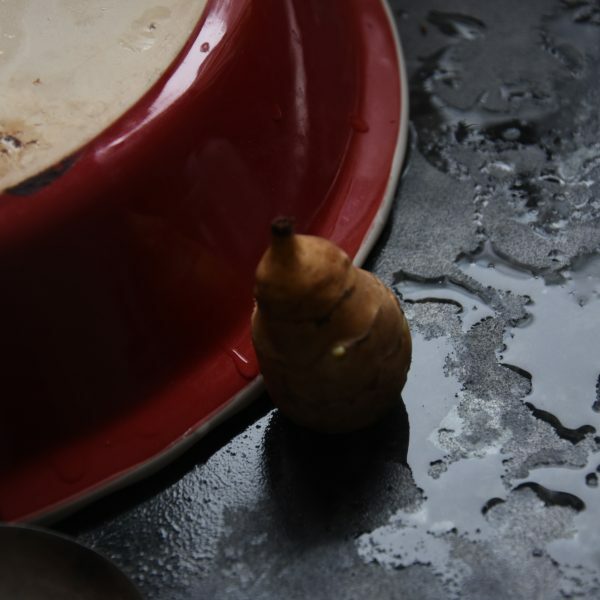 Finally a recipe from our volunteer Hayat Hewitt, a marvellous Lebanese cook with her own way of doing things so no measurements with this one, but give it a go. A little experimenting never hurt anyone. Fry the onion until soft, then add the cracked wheat and the chopped mushrooms. Stir until coated with oil. Add tomato puree and stock, simmer until cooked. Roast or boil the artichokes and add them to the cooked cracked wheat, serve with salad and yoghurt. Note from our Director, these vegetables come with an ‘F’ rating – some people can be affected by them, they can give you a good bit of wind. Click here to join our News & Events mailing list – we’ll email you once a month with News from the Gardens. 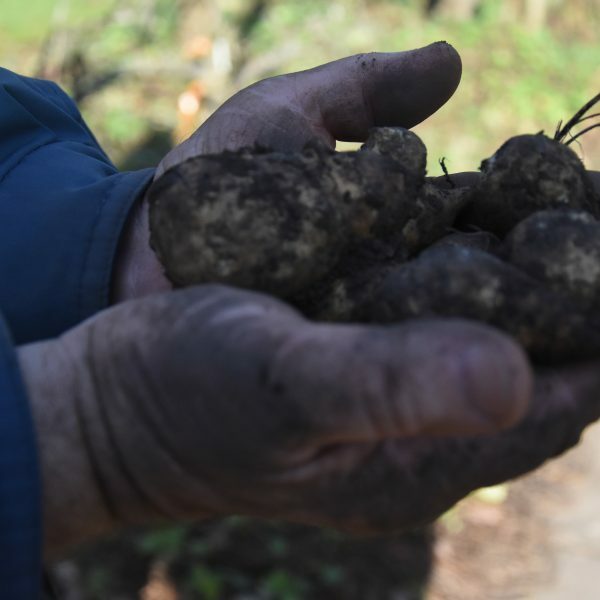 Have you seen the film about our vegetable beds? Vote at LoveBrum for us to receive £2,000 from Monday 20 until midday Friday 24 November 2017. The vegetable beds at Martineau Gardens are one of the first things that visitors see on entering the Gardens, looked after by Miranda Kingston (Therapeutic Horticulturalist) and our Garden Volunteers (including young people from special schools) – they’re a fantastic educational resource for the school children who visit the Gardens regularly, not to mention our visitors who enjoying being able to buy seasonal produce fresh from the growing site. It’s time to get the vegetable bed structures replaced. The current vegetable beds’ boards and pegs are falling apart – the earth is spilling out and they are becoming a trip hazard. It’s becoming more difficult for people with poor mobility to visit and work on this area of our gardens. 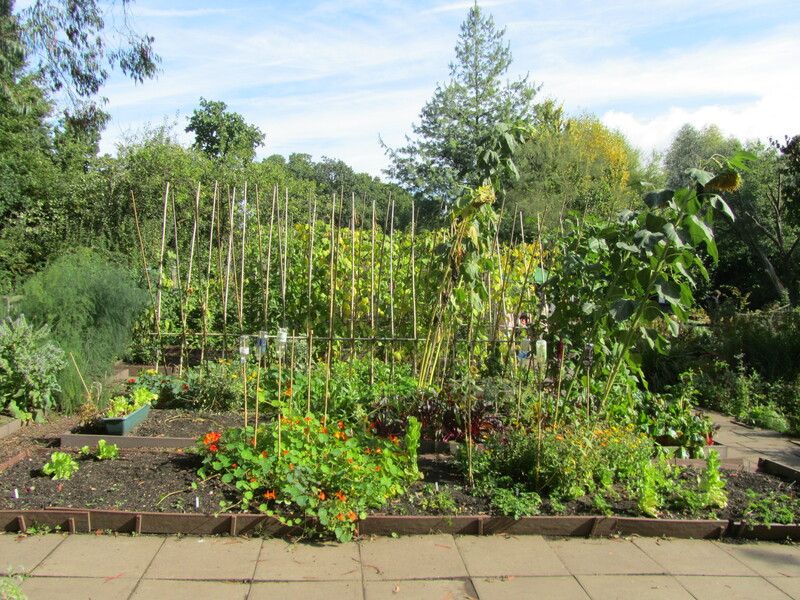 Help us improve disabled access to the vegetable beds so everyone can enjoy them. 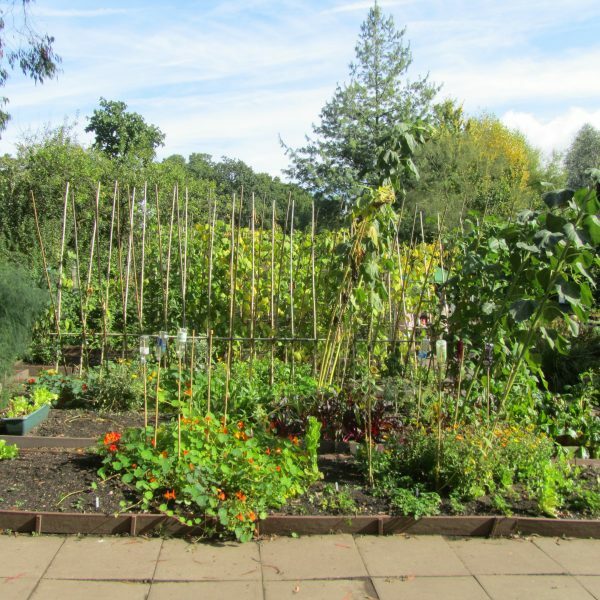 LoveBrum, the charity that supports Birmingham-based projects delivering change, have selected Martineau Gardens as one of three potential ’causes’ to benefit from their monthly grant allocation of £2,000. We could be the beneficiaries, but we need your help! Save the date and vote for us! Please save the date: Monday 20 November – would you please go to the LoveBrum website here: www.lovebrum.org.uk/vote and vote for us. You can vote up until midday Friday 24 November. You’ll need to select Martineau Gardens from the three causes, enter your name and e-mail address to vote as a non-member (look out for a verification email in your email in-box and then click the verification link to confirm your vote). 2017 has been the year we have celebrated 20 years of Community Gardening, dedicated a building to former patron Mollie Martineau and begun the refurbishment of the Pavilion. This is also the year that we begin the recruitment process for a successor to Caroline Hutton, Director of Martineau Gardens. Caroline is retiring, in Spring 2018. Martineau Gardens will be closed for a week from Monday 20 November, re-opening on Monday 27 November – read on to find out more. In our twentieth year we are refurbishing our Pavilion to ensure that this much-loved and oft-used building is here to stay for the future. Last month, we ran a crowdfunding appeal to raise funds for the next steps of the refurbishment. We’re delighted to announce that whilst we still need donations to complete the refurbishment, we are able to commence phase two of the building works. Building works begin on Monday 20 November. As planned, we are knocking through internal walls to create a bigger space that will create a light airy room. Asbestos is being removed – in-line with health and safety guidelines, Martineau Gardens will be temporarily closed during asbestos removal. This means that there will be no volunteering for a week and we will be closed to visitors. If you wish to buy logs – please telephone in advance to check supplies and arrange a time to collect. Creating a bigger space within the Pavilion will improve the welcome for so many of our visitors. There will be warm, dry classroom space for school children on educational visits; a bigger space for the groups who hire the Gardens for training courses and a more welcoming room for people hosting parties. Check back here regularly for updates on our progress. To find out what we have achieved so far, click here. Please donate to transform this crumbling building into a bigger space that’s warm and dry in winter, light and airy in summer. … or pop into see us with cash. It all counts, and if you’re a UK tax payer, we can claim the Gift Aid making your gift worth a further 25p per £1 you donate. Our Pavilion Refurbishment Appeal has just a few hours left to run, at Midnight tonight, on-line donations will close. Since Friday, a further £1,200 has been donated. We’re elated to witness the response. Thank you so much to all who have been sharing our film, the appeal page and donating. It’s worth it. If you haven’t yet, please donate, this building is for you too. Or you can post a cheque (payable to ‘Martineau Gardens’), telephone the Gardens on 0121 440 7430 to make a card payment or pop into see us with cash. Like to watch it one more time? 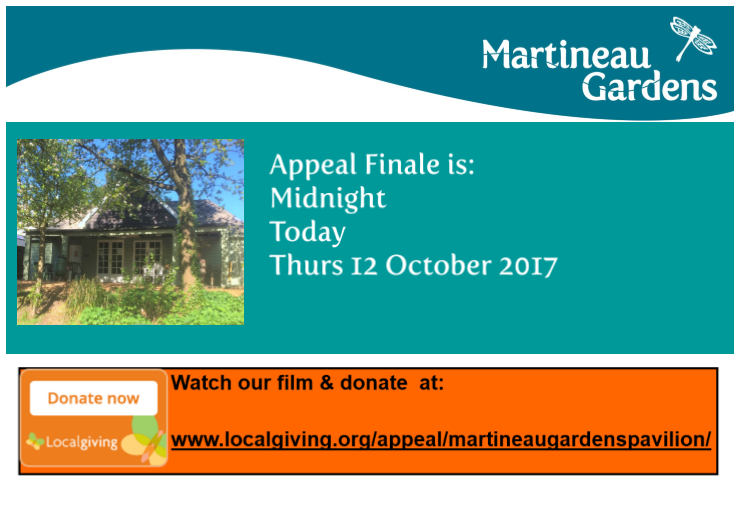 We have but 2 days remaining of our month-long crowdfunding appeal to raise funds to refurbish the Martineau Gardens’ Pavilion. 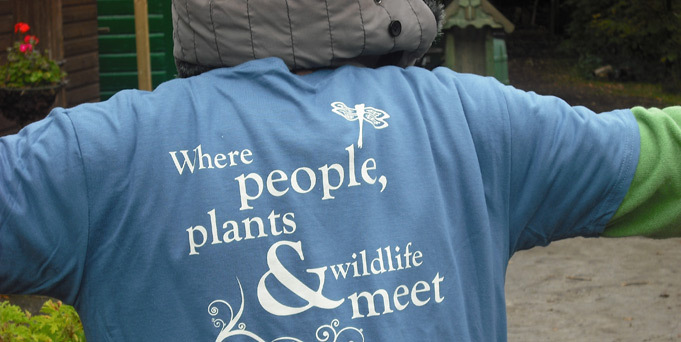 Refurbishing this much-loved building means Martineau Gardens can continue to be the place where people, plants and wildlife meet. If you haven’t yet donated, would you consider it please? Or you can post a cheque (payble to ‘Martineau Gardens’), telephone the Gardens on 0121 440 7430 to make a card payment or pop into see us with cash. It all counts. And if you’re a UK tax payer, we can claim the Gift Aid making your gift worth a further 25p per £1 you donate. We’ve already reported on the completion of Phase 1 of the refurbishments; Phase 2 is booked to start in November. 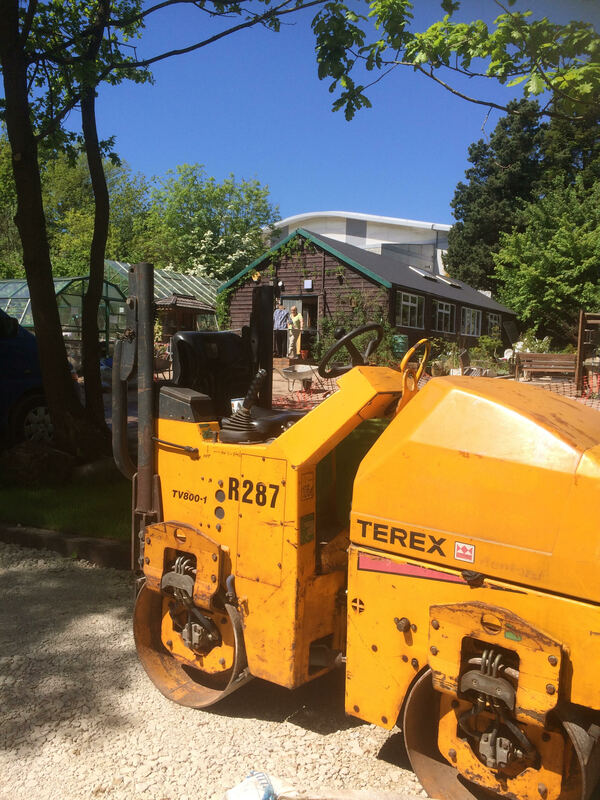 We do have enough funds for work to commence, but more donations will enable us to fulfil all that we want to do. The Gardens will stay open during the renovations, but there may be a little more noise than usual, with access to some areas restricted. We’ll do our best to keep you informed, via the website. Last chance to donate is midnight, Thurs 12 October. Let’s transform the Pavilion from a crumbling building into a warm, dry space that can help keep Martineau Gardens free to enter. 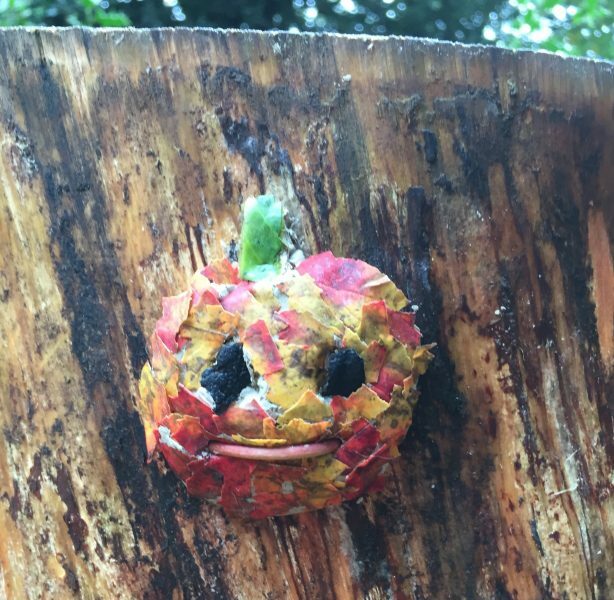 The nights are drawing in, and it’s tempting to spend more time indoors but come and enjoy Autumn outdoors at Martineau Gardens this October with a range of activities. 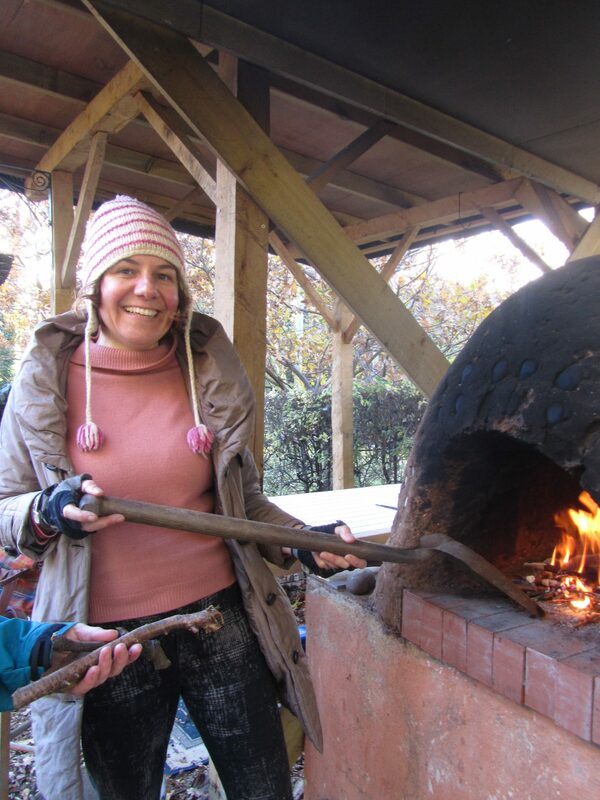 Sat 21 October, Baking in an Earth Oven Course, Martineau Gardens 10am – 3pm Just in time for the bonfire season, come and learn how to bake outdoors on a wood-fired earth oven, in Martineau Gardens very own outdoor kitchen. Click here for more details and booking info. £40, advance booking essential. Autumn Half-Term Family Fun, Martineau Gardens, 10am – 12noon on Tues 24 October and Thurs 26 October Come and have some autumn and Halloween themed fun this October half term. 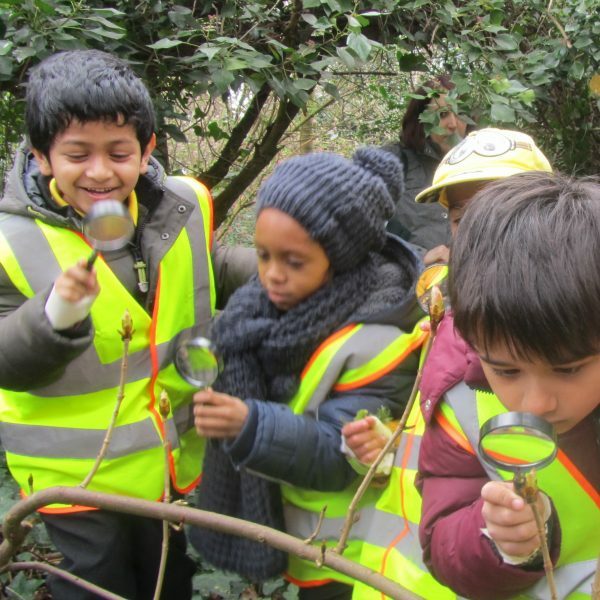 Ideal for finding out more about the wildlife at Martineau Gardens with plenty of fun and play along the way. 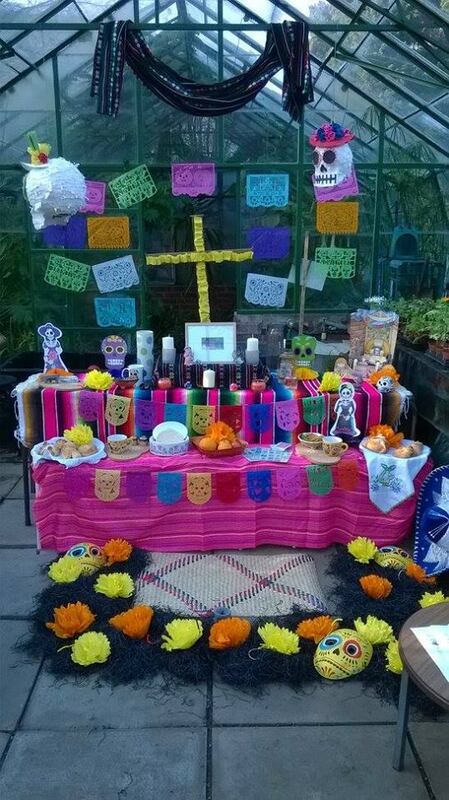 Click here for more details and booking info, £5 per child, advance booking essential. 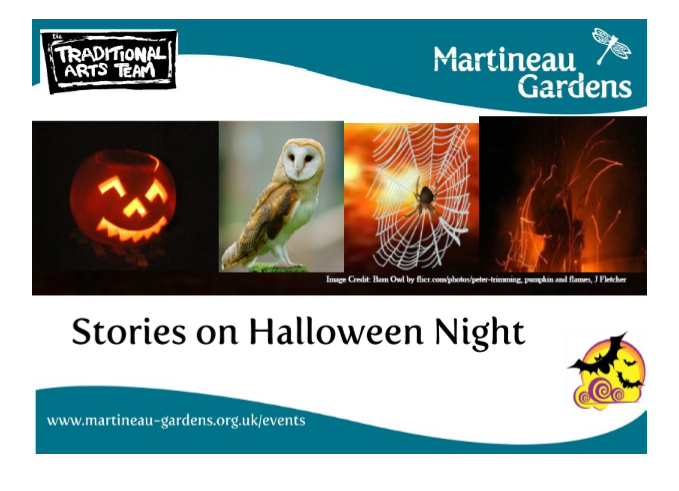 Tues 31 October, Halloween Story Night, Martineau Gardens 6 – 9pm with the Trad Arts Team A rare opportunity to enjoy Martineau Gardens at night, in the company of storytellers from the Traditional Arts Team. Click here for more details and booking info, £5 per adult, £2 per child, advance booking recommended. And of course Martineau Gardens is open everyday (except Sunday), from 10 and until 4pm – entry is free (unless there is a special event on). Stay in touch with our news and events: Click here to join our News & Events mailing list – we’ll email you once a month with News from the Gardens. If you haven’t yet donated, you can post a cheque (payble to ‘Martineau Gardens’), telephone the Gardens to make a card payment or pop into see us with cash. It all counts.If you’re a UK tax payer, we can claim the Gift Aid making your gift worth a further25p per £1 you donate. 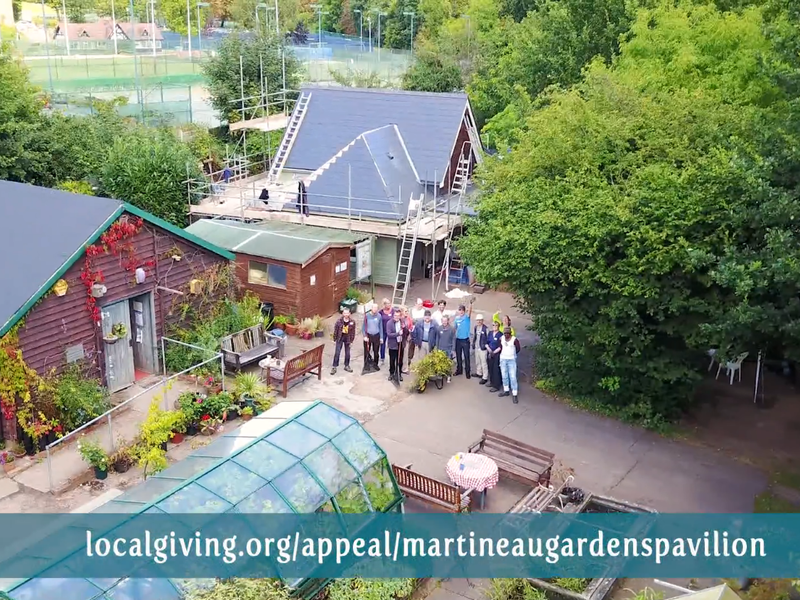 In just 17 days, Martineau Gardens, the community garden and charity, in Edgbaston has reached the half-way point in its crowdfunding appeal to refurbish its Pavilion, with £19,518.75 donated to date. The Pavilion refurbishment work will transform a crumbling building into a warm, dry space that can be used by school groups, training courses and people holding celebrations. 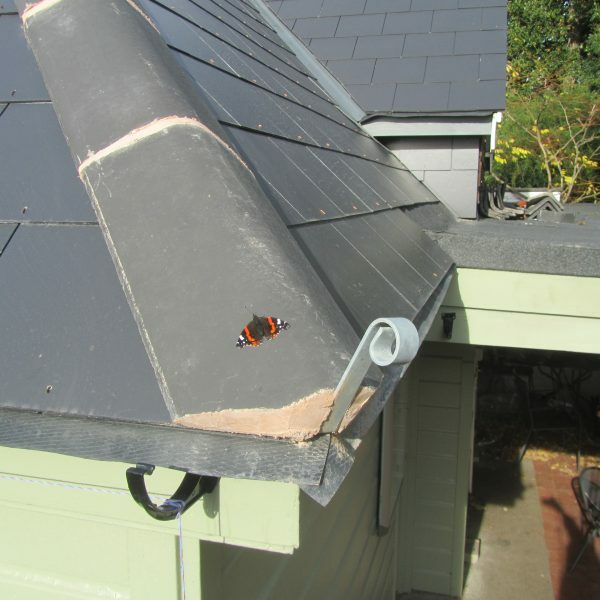 Phase one of the refurbishment has already been completed (replacing the roof and external paintwork applied). The funds raised through the current appeal will be spent on knocking through walls to create more space, fitting a kitchen to better serve refreshments, insulating walls with sheep’s wool, fitting secondary glazing and a wood stove. 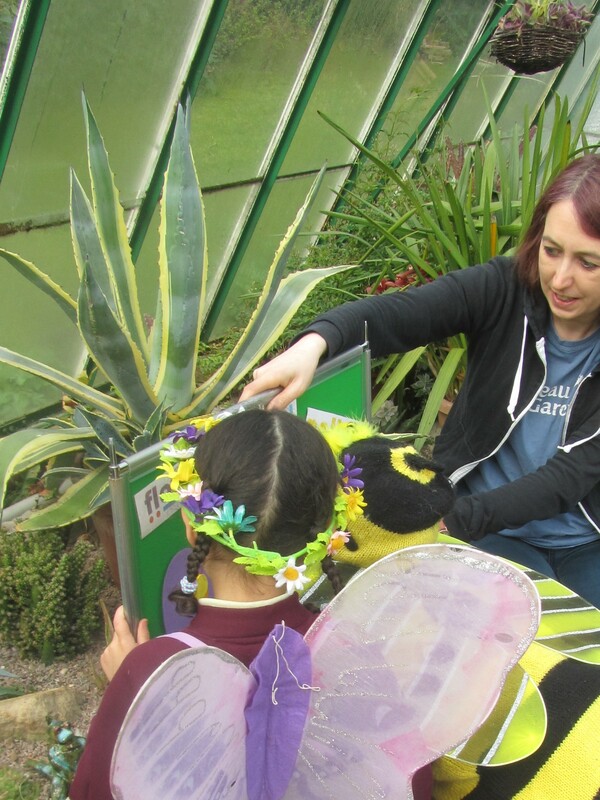 As well as simply providing a warm, dry roof overhead, the Pavilion refurbished, becomes a bigger, brighter space where the Gardens can extend its current Education Visits service by teaching more Birmingham children about nature. More businesses and community organisations can hold events and meetings and the public can hire the building for family parties and celebrations. This income will contribute towards keeping Martineau Gardens free to enter. 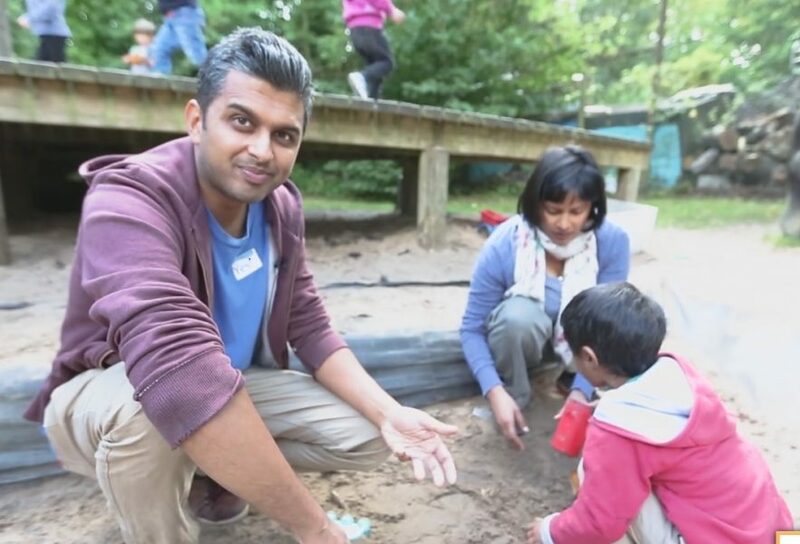 The Pavilion is at the hub of our Therapeutic Community Garden, it helps us to deliver the activities and events throughout the year that make Martineau Gardens such a special place to visit. 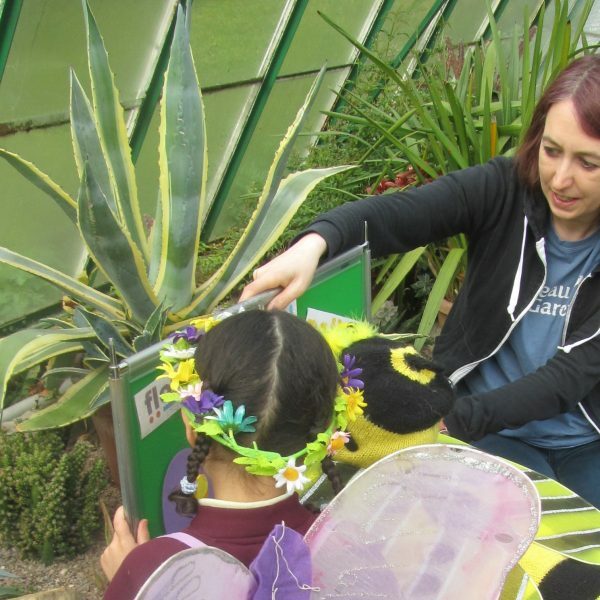 It’s a multi-functional space for YOU to hire for your parties and family celebrations; a place for your organisations’ meetings and training courses and a place where Birmingham’s school children come for environmental education. 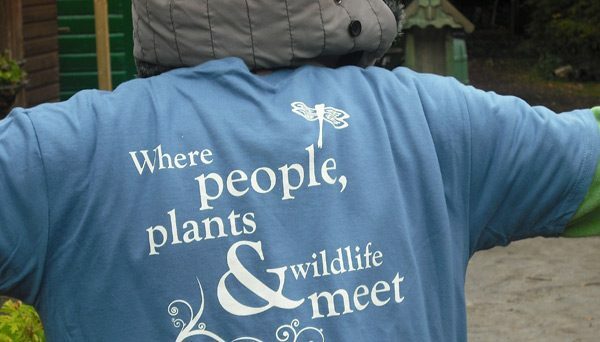 Like so many of our volunteers, visitors and visiting school children, we love the outdoors at Martineau Gardens, BUT … the Gardens needs somewhere warm and dry when the weather is not. The Pavilion provides a bit of indoors for all the times it’s not pleasant to be outside. Our Pavilion was constructed pre-war – it’s intrinsic to the ‘feel’ and special character of Martineau Gardens and it’s a much loved building – but the current layout of the Pavilion is limiting its potential. 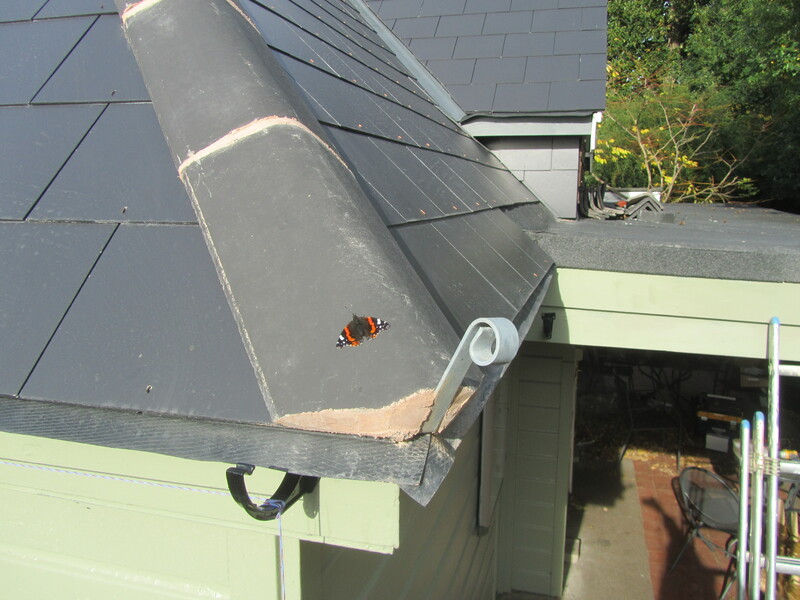 By knocking walls through (see above), the refurbished Pavilion creates a big, dry classroom space providing a better experience for local primary school children who come to the Gardens on environmental education visits. It will also extend the school visit season beyond the drier months. 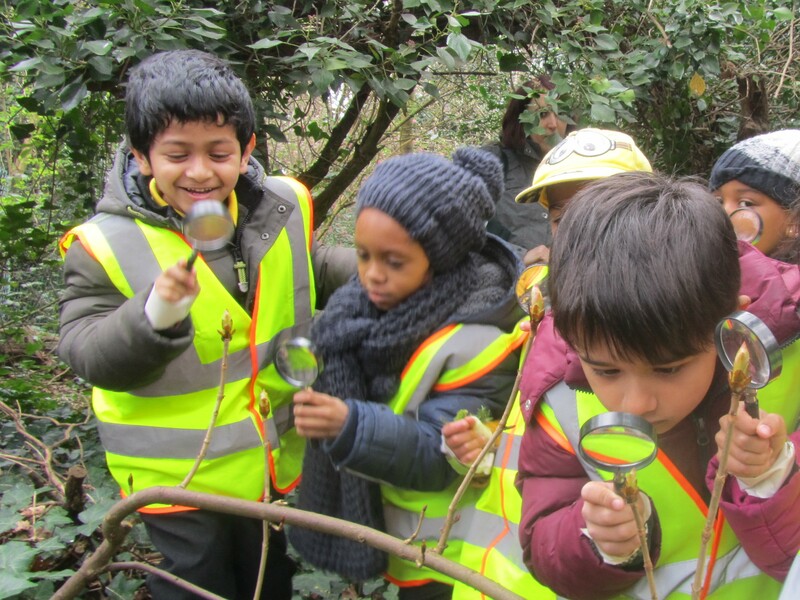 The Pavilion is ideally located to faciliate educational environmental visits – five minutes stroll from the Pavilion door, is our SLINC status woodland, rich in biodiversity, with a range of habitats and wildlife to observe. Currently our Glasshouse doubles as a classroom, ideal for studying propogation in plants (pictured right above), but it’s too hot in summer and too cold in winter. The Pavilion will provide a warm, dry insulated space where a whole class can be accommodated whether it be for eating packed lunches or in between their outdoor-based field study work on a rainy day. At weekends, in the warmer months, the Gardens are regularly booked by a host of returning customers, booking us for their celebrations (family gatherings, birthday parties and community events). 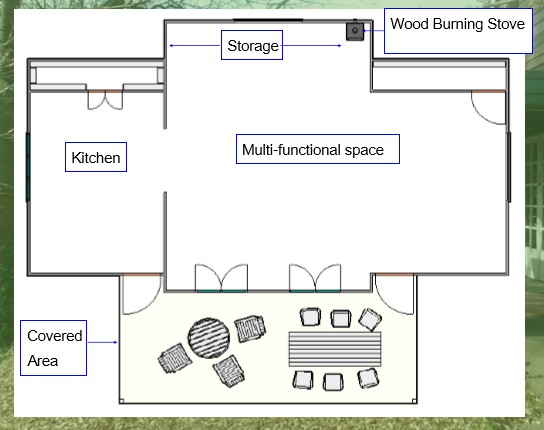 By creating a bigger space, we plan to install a modern kitchen to better serve refreshments. With space for more delegates, more community groups and businesses, (like regular bookers, ‘Thrive’) will be able to book the Gardens for meetings and training courses. Refurbishment helps us to increase our income from venue hire to help keep the Gardens open and free for the people of Birmingham to visit.